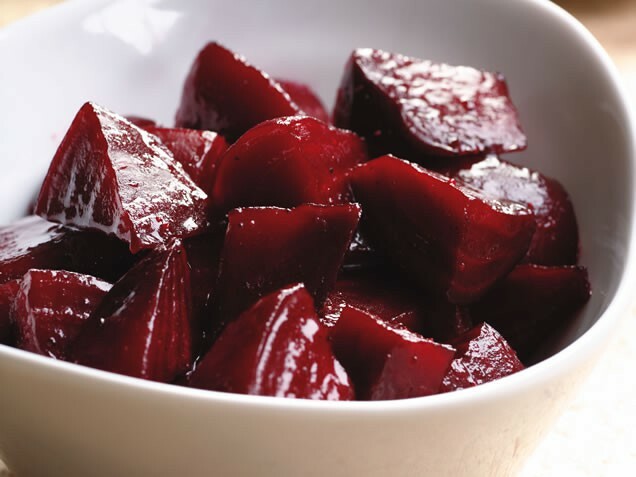 Roasting beets intensifies their sweet earthy flavour. Once the beets are cooked their skins will slip off easily. When selecting beets choose ones that are firm and round. This is a summer tradition at our house! 2.Thoroughly wash the beets and pat dry. 3.Place in a medium roasting pan add oil and season with salt. And toss beets to coat. 4.Covered the pan with foil and bake until the beets are tender when pierced with a fork. Transfer the pan and cool. 5.Meanwhile in a saucepan over medium heat warm the Balsamic Reduction. Set aside. 6.When beets are cool slip off skins and quarter. Combine beets, Balsamic Reduction sauce, half of the mint salt and pepper and toss. Transfer to serving plate. 7.Zest strips of orange directly over the beets so they absorb the flavorful oil from the rind and garnish with remaining mint. Serve immediately.